Download the Stages Flight Booking to enable a smooth and effective login of users in your club. Mount an iPad in the club and give users possibility to book and reserve bikes for each class. Note: This app is intended for use by a club to allow for self-booking within the indoor cycling studio. 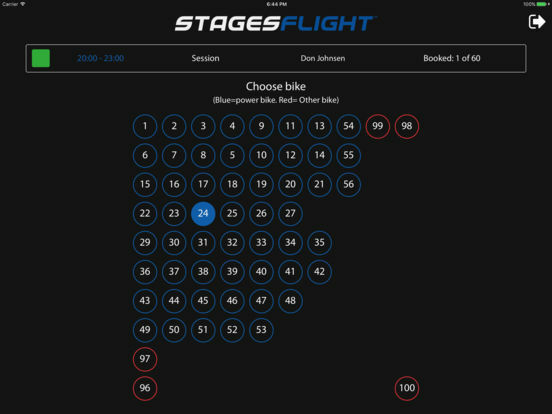 Individual users can reserve bikes for upcoming classes using the Booking tab in either the website or within the Stages Flight mobile app. Download the Stages Flight Booking app in the iTunes store.